Many of us feel very low sometimes due to certain situations that we face in our daily life. We might become utterly exhausted by the end of the day and feel like going to bed very early and not chat with any of our family members. It is important for us to have balanced mind to lead a happy, cheerful, successful, purposeful and enjoyable life. To live our life to its fullest, we need to dream and try to work towards achieving those dreams. To fulfill our dreams it is necessary for us to enhance our personal energy. It becomes rather significant for us to keep positive attitude always in order to cope up with the circumstances. To adjust to the circumstances, to raise our personal energy and maintain our mind cool and relaxed, we may have to enhance our capacity to be able to mentally receive anything depending on the graveness of the situation. The potential energy has to be spent by us to make us not go down or get drained off. There are a few important habits for us to learn to raise our energy levels. 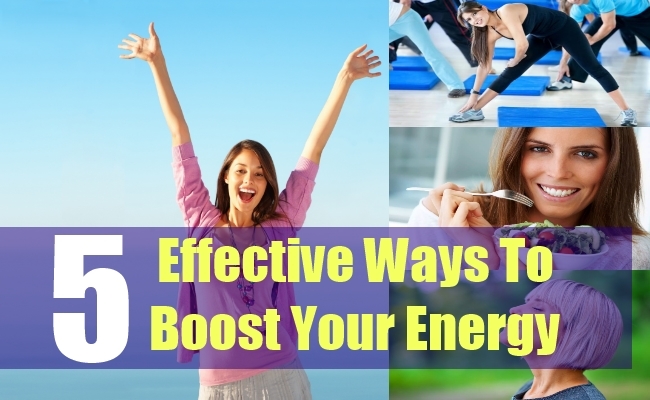 Let us discuss here some of the ways to boost our energy levels. Breathing is one of the important yogic practices which can rejuvenate our energy levels. Those who are familiar with the yoga will have knowledge on the breathing practice. 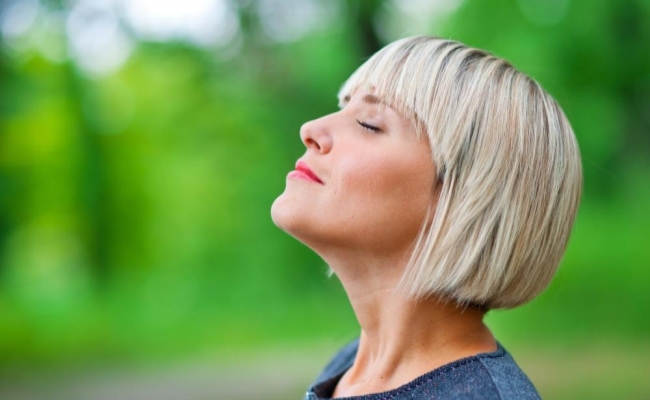 You might think that breathing may not be able to enhance the energy levels as it is a common thing that everyone does all the time and even those who are psychologically low. The breathing that we are discussing here is concerned with proper breathing which means breathing deeply towards the abdomen till the movements of the belly towards the front is clearly observed. Breathing can be practiced three times per day, in the morning, noon and in the evening. About 10 deep and conscious breaths are taken every time this procedure is done. The proper breathing has to be done in the ratio of 1:4:2 for inhalation: holding: exhalation. This ratio means that if the individual has inhaled deeply for about 7 seconds, then he is expected to hold the breath for about 28 seconds and carryout exhalation for about 14 seconds according to Anthony Robbins. If this procedure is repeated for three times in a day then the energy levels are well elevated. When the person is under stress then he/she will do shallow breathing which is of not much use. This can be practiced and checked. Eating water-rich foods and healthy foods will enhance the energy levels. Food acts as a fuel for the body and the food that adds energy will help in enhancing it. 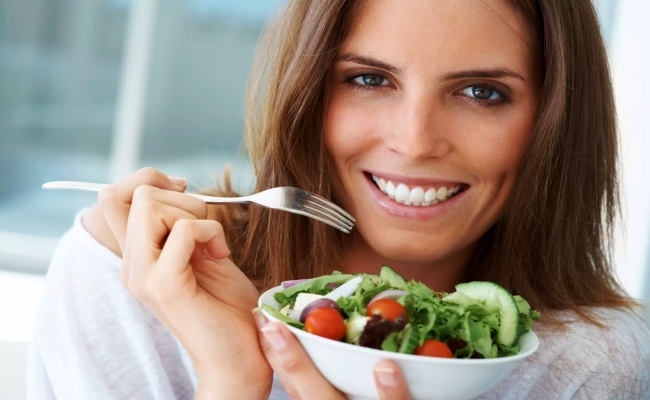 The food that is rich in water like fruits and vegetables are considered as best foods. Eating properly refers to the type of eating that allows the person to think about the food as fuel and not something that provides pleasure. We need common sense and not great degrees to choose some foods that can enhance the energy levels. Some people tend to eat more to compensate for another deficiency in their life. It is important that everyone should identify their grief for something they lack and try to solve it wisely instead of unconsciously eating more.If we eat food that has more of fat and sugars then our body might have to spend lot of energy to digest it rather than gaining energy. Moving the body is great to regulate and maintain great energies. It is important to remove excess of fat and remain healthy. Aerobic exercises help the body to consume more oxygen. The aerobic exercises include cycling, running and swimming. Spending about 130 to 140 heartbeats per minute for the period of 45 to 60 minutes is essential. Doing exercise for atleast 45mins to 60mins will be effective such that the body fat will be melted to some extent and the weight loss follows. Every individual can select which exercise is more important and suitable for his/her body. One can experiment with the relevant exercises and start practicing the one that is fit for your body. Doing exercise at least for three times in a week or four times in a week will enhance your energy levels and keep the body fit. To be energetic for the day, it is really important for the body to get sufficient sleep. Sleeping too much can also make you become lazy. It is said that at the most eight hours of perfect sleep is essential for a human adult. But, the number of hours might be less for some people depending on the work intensity they have all through the day. We can check it for our body and see how many hours are necessary for us to take complete rest and feel fresh in the morning. It is also important to make the duration of sleep as habitual whether it is 7 or 8 hours.It is also important to look for the starting and ending time for the sleep. Rising early in the morning is an energetic way of starting the day. Going to bed at the same time every day will help us to maintain the biological rhythm of sleep. If the person wants to change the sleep rhythm, then it is better to get accustomed to the time you desire to get up in the morning for more than three days. This will automatically adjust your timing of going to bed as early risers will also get tired early. The thoughts and emotions play their role in energy alterations in us. You can notice that the emotional fightings might drain our energy. There are some thoughts that are energy consuming. Contrarily, everyone will have the option and capability to select their thoughts and emotions. Many people lose their energy levels by not being able to manage their thoughts and emotions. Their energy gets drained off due to unnecessary thoughts and emotions. Therefore, by learning to improve in this aspect will help us to gain energy. It is good always to realize and be aware of our thinking regularly. If your thoughts are not supporting your mental balance then it is better to cut those thoughts and divert your mental focus to something else that can empower you. It is wiser to think about our goals and work on fulfilling what we like. We need to realize the emotional state and try to control our body’s reaction to the thinking and reception instead of allowing the emotions to control your mental state. The energy levels can be boosted up by choosing correct thinking and emotions and by focusing them in right direction mentally. The right direction can be set by us by developing our personal vision gradually and by setting our goals properly.